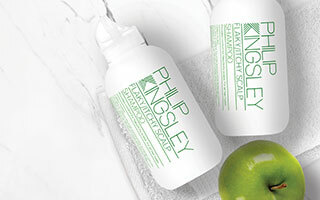 At Philip Kingsley we challenge the prevailing standard of ‘dry’, ‘normal’ and ‘oily’ hair. We believe you should assess your hair by its size and shape: whether your hair texture is fine, medium, coarse, or curly. You then look at your hair’s length and level of processing and combine this information to choose a daily hair care regime that is best for you. 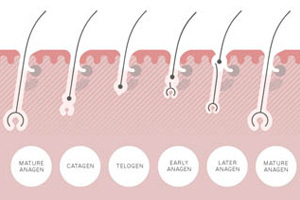 Hair is often described as being ‘normal’, ‘oily’ or ‘dry’. However, these labels don't make much sense at all when you think about it! You may read labels that say ‘For Normal/Dry Hair’ or ‘Normal/Oily Hair’. However, what is classified as ‘normal’ for you will not be the same ‘normal’ as that of your relatives, friends or children. Your hair may be very fine and dry, while your sister’s hair might be very coarse and dry. Both hair conditions are ‘normal’ per se, but require completely different regimes and hair products to look their best. ‘Dryness’ is a term that describes the condition your hair is in, not your hairs’ actual texture. Depending on the hair texture you have, the products you should use to combat dryness will be different. Your hair can be fine, straight, limp and ‘dry’, or coarse, curly, frizzy and ‘dry’. It could be ‘oily’ at the roots and ‘dry’ at the ends. Your hair could also be coloured, bleached and ‘permed’, as well as short or long. All different, but all ‘dry’. It is natural for your roots to get a little oily. Everyone produces sebum, a natural oil secreted by the sebaceous glands that are attached to your oily. If you would like to find out more information about your hair texture, our clinics based in London and New York specialise in hair and scalp health.